Hey Everyone! So I recently bought the new iPhone 6S in rose gold because I was in desperate need of a new phone and I decided that because I've worked so hard lately I thought why not treat myself to the new iPhon Yes I'm still not over the rose gold obsession yet. Sue me if you must! Anyway, I thought what perfect way to mark the occasion than to do a What I Got For My iPhone 6S post but instead of talking to you about every app and why I love them and what they do I thought I would just share what my favorite apps are. Enjoy! 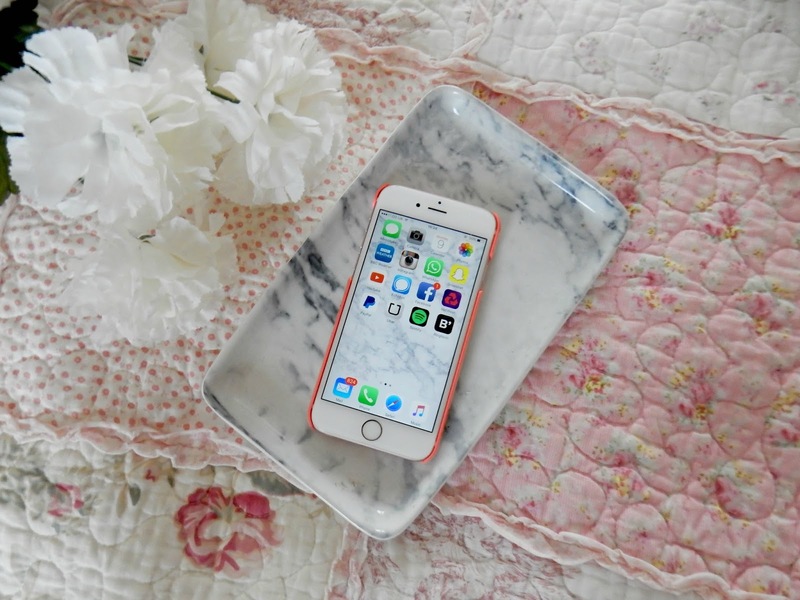 Well I can't write a blog post and not include Bloglovin' as one of my favorite apps now can I? I absolutely love this app! It's perfect for reading blogs on the go or saving them to read as well. I love just having a scroll through on the train to work or long journeys. It's also perfect for me at the moment as I am quite lacking in blog inspiration so this is perfect for coming across new and exciting ideas that I could maybe introduce to my blog as well. I love it. I love, love, love this app! It's literally a blogger, youtubers or anyone who likes being organised dream! I absolutely love using this app to write blog posts on the go or draft up ideas or quickly jot down any notes for work or anything else that springs to mind. I can keep everything in this app and I absolutely love it! I've become a little bit obsessed with instagram lately. If you read my favorite instagram post from a few days ago (Link) then you will know how much I love scrolling through different photos and looking at different photography styles. I've become obsessed with posting photos on it myself lately and experimenting with different styles. Head on over to xbellefleurx to see my photos. Leading on from instagram I also love VSCOCam. It's the app I use to edit my instagram photos and I absolutely love it as there is just so much you can do on it. I love the different filters and ways that you can edit photos. My favorite filter to use at the moment is A5. I just love the way it really brightens up a dull photo. If you'd like to see a how I edit my photos then be sure to leave me a comment below. If you've seen those adult coloring books in bookshops or seen photos of them on instagram but have never been able to buy one then this is basically the app version and I love it. It has ton of designs for you to just color in and it's just so incredibly therapeutic and relaxing and perfect again for long journeys. I absolutely love spotify. Those of you who have been reading my blog for a while now will know this because I'm constantly posting different playlists each month to let you all know the sort of music I've been loving. I would be lying if I said music doesn't make me really happy. I love it so much and I love discovering new artists on there. It's just a fab app! I've recently discovered this app thanks to Corrie who blogs over at DizzyBrunette. If there's one thing I've always had trouble with it's finding the right shade to suit my skin tone. This app basically gives you the chance to see how a certain shade or style would look on you. It's kind of a try before you buy style app and I absolutely love it. The products featured on the app are all from L'Oreal which is one of my favorite brands but I also think you'll be able to see how a shade looks on you and then maybe find that same or similar shade from another brand. I love it! What's a long journey without a completely addictive game? That's right, I'm still not over the candy crush game. I find it ridiculously addictive and it definitely cures boredom on a long journey! 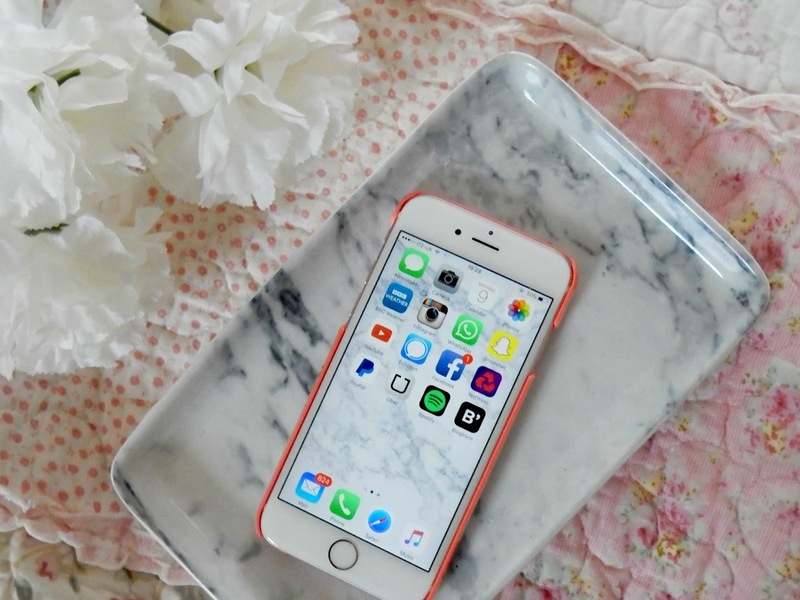 Are you sensing a theme for what my apps are for throughout this post? I know people who haven't even played this game before...you haven't lived...definitely download it. So those are my favorite apps at the moment. Other apps I have on my phone include facebook, twitter, snapchat, youtube, paypal, natwest, uber, pinterest, timehop, lines (a tube status app), waze, bus times and pop the lock which is another addictive game. I definitely need to download more apps so any recommendations would be amazing! What are your favorite apps at the moment? I love the rose gold Iphone, I wish I had the money to buy it :) I had evernote too, but didn't actually used it, so I deleted it! Thank you for sharing! I use Instagram and VSCOcam all the time! I decided to not upgrade to save money but regretting it already it looks so pretty. I bet I cave!